Having a reliable blender at your disposal in the kitchen gives you tons of cooking options. Blenders are a great tool to use for a variety of tasks, and picking the right one is important. You’ll need one that can perform all your desired tasks without too much effort on your part. Discount stores have a variety of blenders to choose from whether you want a small, single-serve blender or one that can handle tougher tasks. Several retail giants offer you a lot of blender options while also making sure you get a fair price for the one you want. In this article, we’ll cover the blenders that discount stores carry including brands and types, the do’s and don’ts of the blender-buying process, and how to get a good deal on your blender. What Kinds of Blenders Can I Buy at a Discount Store? These brands and more provide great additions to the discount store blenders inventory. They all carry a variety of blenders, from single serve to smart technology. Let’s go through the different blender types available at the retail store. Countertop blenders are the most popular kind of blender. Widely available at discount stores, these blenders have spacious jars and various speed options. Along with their varying speeds, they can come with different profiles like “crush” or “puree” to help you craft your meals exactly how you want. These blenders can range anywhere from 2 speeds to 16 speeds. One thing to keep in mind when looking at speeds is the blender’s watts. These can range from under 200 watts to 1200 watts and above. If you’re looking to conserve electricity and make less noise, then a lower-watt blender might be good for you. If you want a blender that has more power and can handle bigger tasks, then a higher-watt blender will be better for you. A few popular countertop blenders at discount stores include ones from Oster and Ninja. The Oster 14-Speed Accurate Blend 200 Blender is a bestseller at discount stores due to its classic design, speed variation, and affordable price. It has a 450-watt motor, a 6-cup capacity jar made of glass, and push-button controls that allow for easy operation. The Ninja Supra Kitchen Blender System with Food Processor and Single Serve Cups is little pricey, but it is totally worth it, especially if you blend a lot of leafy greens in your smoothies. It’s an exclusive blender system that provides blending, food processing, and single-serve capabilities. It comes with a 9-cup capacity glass jar for blending, an 8-cup capacity extra-large food processor, and 2 16-ounce single-serve cups that have both juicing/blending blades and travel lids. Hand blenders are a little less common than other types of blenders. They are, however, still a part of the discount store blenders inventory. Also called hand mixers or immersion blenders, they are super compact, lightweight, and easily operated with one hand. Not to mention they can also be a lot more affordable than some other countertop blenders. Hand blenders typically have lower-watt motors than bigger blenders, but don’t let this make you believe they aren’t powerful tools. A lot of hand blenders come with varying accessories like a whisk attachment and can even attach to a food chopper to accomplish big tasks like bigger blenders. The most common types of hand blender attachments are whisks, although this Cuisinart model comes with a knife attachment too. 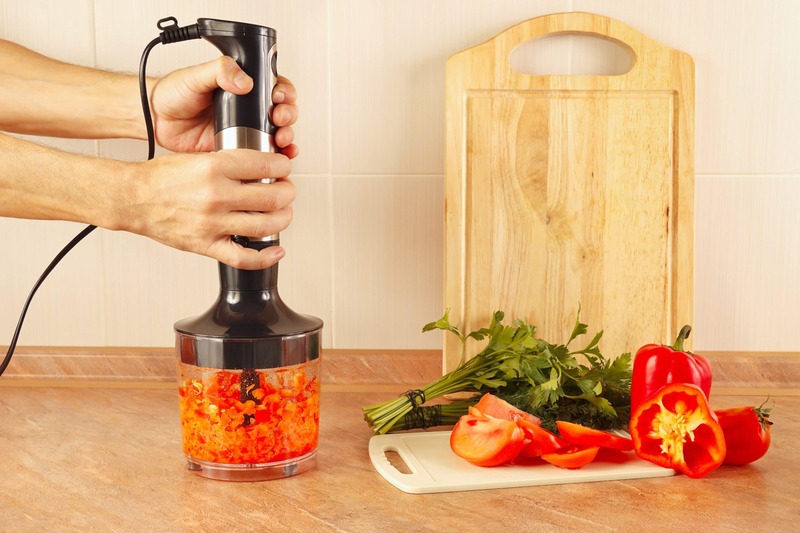 Some hand blenders are even cordless to allow for maximum flexibility while you’re using them. Personal blenders are definitely a more modern variety of blender. They are wonderful if you don’t have a lot of counter space but still want something to make a good smoothie in. Personal blenders specialize in making single servings. Their capacities can range anywhere from under 2 cups to 6 cups. At discount stores you can get all kinds of personal blenders. It’s a good idea to choose one that comes with a couple of cups so you don’t have to wash and reuse the same cup all day. All of the personal blender cups come with both the blending blades and travel lids. Once you blend your smoothie right into the cup, switch the blade out for a travel lid to drink your smoothie on the go! Keep the following things in mind when you’re in the market for a new blender at discount stores. 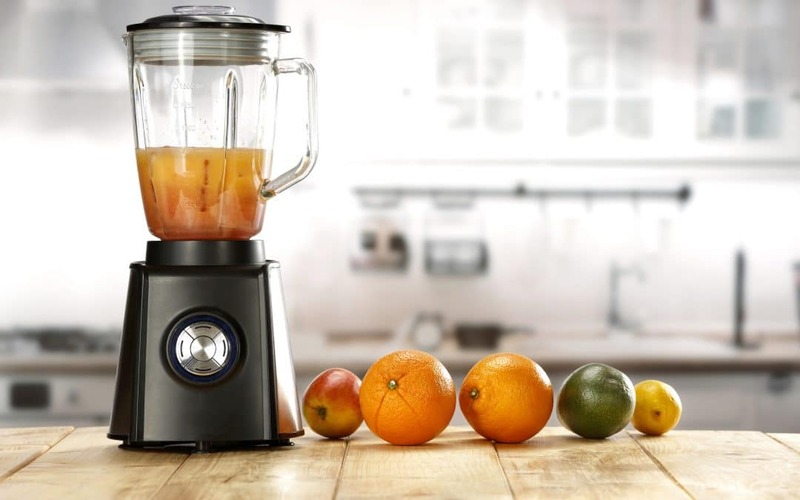 Blender Parts & Accessories – Try and anticipate whether you’ll need to buy a lot of accessories in order for your blender to meet your needs. A lot of personal blenders for example, only come with one cup. You’ll need to buy more cups if you plan to make a lot of smoothies throughout the day. Type of food and consistency. Each blender that is sold by discount stores has a different purpose–cost effectiveness may not mean your blender is going to deliver the best smoothie ever, or be able to make smooth cashew butter. Determine your purpose before-hand and check into the reviews of each blender before you go grab the cheapest one or the one with the most bells and whistles. You may need just the opposite of what you think. Discount stores often have a lot of great special offers that can help you get a good deal on your blender. If you’re browsing or purchasing online, you can select the special offers that you like from the left-hand column of the web page to filter the blenders according to the offer you want. Kitchen appliances keep us going, and we need them to not only live up to our expectations but exceed them. Blenders can do a lot of different tasks for us, and it’s good to know all the different types of discount stores blenders available so you can make the right purchase next time you shop there.